A.R. 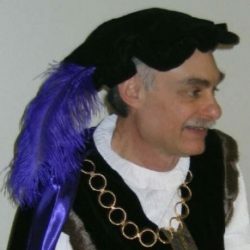 Silverberry writes fantasy adventures for children and adults. His novel, WYNDANO’S CLOAK, won multiple awards, including the Benjamin Franklin Awards gold medal for Juvenile/Young Adult Fiction. 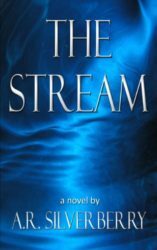 THE STREAM, his second novel, was honored as a Shelf Unbound Notable Book, and was shortlisted in ForeWord Review’s Book of the Year Awards. He lives in California, where the majestic coastline, trees, and mountains inspire his writing. Now… on to the six questions! If you have any questions of your own, please leave them in the comments, and hopefully A.R. will drop by and answer them. Before writing my first novel, every decade I seemed to do something big that required me to integrate complex elements and sustain my efforts over a long period of time. Around seventeen or eighteen, I composed and orchestrated a piece for my high school concert band, which we performed. It was titled The Heroes Suite, so an interest in heroes has been rolling around my brain for a while. At twenty-eight, I composed and conducted a choral cantata. In my thirties, I got my PhD. In my forties, I wrote my first novel (unpublished), and my second and third came along in my fifties. Now in my sixties, I’m working on a trilogy. I hate think what’s in store for me in my seventies. The trend? I’m gravitating toward short stories. Hope it isn’t entropy at work! I don’t recall the exact moment. I had started writing some Westerns while I was in graduate school, but never completed any of them. Sometime in the late nineties, my wife and I were reading the Oz books to each other, a series that figured large in my childhood. At some point, I thought, I could write one of these. Talk about naïve! If I knew then what I know now, I’m not sure I would have ventured further. It seemed like a fun thing to do, and it was, writing purely unconsciously, without any notion of craft, and almost no internal editor. Oh, for the good old days. My approach has gotten more rigorous over the years. I start with an initial spark, usually a striking image or metaphor. For example, in Wyndano’s Cloak, I saw what Jen, my heroine, would do in the climax. That was convenient. I didn’t having to figure out the ending! After the spark, I start to consider the characters and the theme. While I’m working on all that, I’m usually thinking about the plot, so by the time I create a plot outline, I have a pretty good idea what will I’ll put there. Once I start the first draft, I have a number of prompt sheets I use to explore scenes and character responses. After I’ve completed the worksheets, I usually don’t refer to them too often. The sheets seem to exist to clarify things in my mind and to satisfy and quiet my left-brain. I stay open to discovery. The first draft will sometimes have striking differences to what I’ve planned. The great stuff comes unconsciously, but usually after considerable work. Any of my work! Wyndano’s Cloak and The Stream are both adventures with striking imagery and plenty of action that would translate well into film. I often use photos of famous actors and actresses while I’m writing, so casting wouldn’t be a problem, though some of the people I chose would have to be recast. For Jen of Wyndano’s Cloak, I used Kristen Stewart, pre Twilight. Actually, I used photos from the 2004 film Catch That Kid, when she was probably 12. Even then, she had a lot of intensity, and in that movie, she was an athlete, which fit my character perfectly. My biggest fear would be that Hollywood would go all cliché on me and throw in cheap thrills to pander to what they think audiences want—a dragon where there isn’t one, a battle that doesn’t happen in the book. When a customer comes toward my table, I say, “May I introduce you to my award-winning novel?” Most say yes. Holding the book, cover facing them, I say, “A sinister shapeshifter threatens to shatter Jen’s world and the kingdom of Aerdem. She has one chance to stop them, with a magical cloak, too dangerous to use. 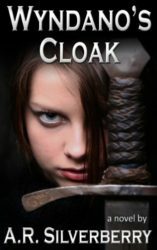 If you love page-turners with secrets, riddles, mystery, treachery, and intrigue, you’ll enjoy Wyndano’s Cloak.” And I hand them the book. My best memories as an author, the ones that make it all worth doing, came from these live encounters. Thanks for the stimulating questions, Jay. The answers were a match for each of them. Thanks!